One of the conundrums of AIDS vaccine design is that the virus has the unique ability to "hide" itself from identification from both the immune systems and the drugs meant to neutralize it. Rather than circulating freely in the blood where it can be readily identified, the virus embeds itself cells and tissues throughout the body in what is known as a proviral state. 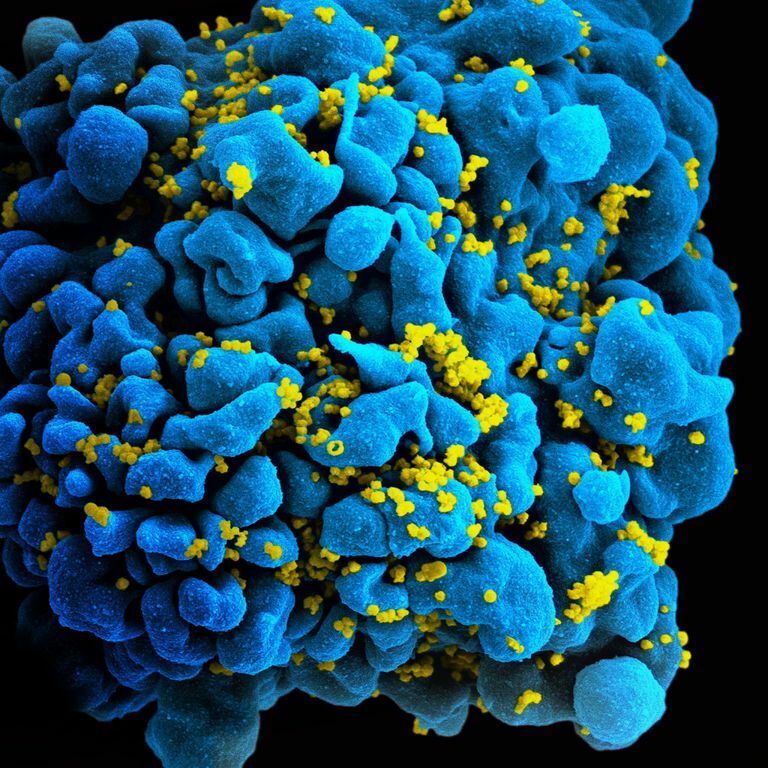 In its proviral state, HIV simply inserts its genetic material into that of its host cell. So instead of replicating as a free circulating virus, it simply replicates as the host cell replicates. As a result, the body's immune system is not alerted to the presence of the virus during this period of latency, allowing it persist unimpeded from generation to generation. While HIV is certainly not the only viral pathogen known to do this, its ability to conceal itself has made eradication pretty much impossible, confounding researchers for the better part of 30 years. At present, scientists are not even fully sure of how extensive the proviral penetration is. Research from John Hopkins University in 2103 suggested that the cellular reservoirs harboring HIV may be as much as 60 times larger than previously imagined. While efforts are being made to activate and "kick" the virus from these infected cells, few agents have proven capable of achieving the levels of activation needed to effect an eradicating cure. By definition, a provirus is the genetic material (genome) of a virus that is integrated into the DNA of an infected host cell. There are two proviral states. The first is simply a stage of viral replication when the provirus "hijacks" the genetic coding of the host cell—through a process called mRNA transcription—and directs the synthesis of a new virus, which goes on to infect other host cells. This is called a productive infection. The second is a state where the virus does not actively replicate but is instead carried along passively in the DNA of the host cell as it replicates from generation to generation. This is called a latent infection, and the host cells infected with provirus are often referred to as latent reservoirs. A latent infection may suddenly become productive in response to changes in the host environment or the health of in the infected individual. In HIV, this often occurs when antiretroviral therapy fails, either due to the development of resistance or suboptimal adherence, and/or when immune defenses are depleted as a result of infection. When this happens, the "silent" provirus may suddenly become activated and begin expression of its own genome, producing new virus while killing off the host cell. One of the challenges of HIV vaccine design is determining ways to effectively eradicate HIV in its latent, proviral state. Because HIV is not replicating drug a latent infection, antiretroviral drugs—which work by inhibiting viral replication—have little impact. As such, the virus is essentially invisible, able to remain in hidden even if the face of fully suppressive antiretroviral therapy. Scientists are now exploring ways to activate latent reservoirs with the use of one or more drug agents. If successful, other strategies (therapeutic, immunologic) can theoretically be employed to eradicate the newly exposed HIV. Often referred to as "kick-kill," the approach may ultimately lead to a successful vaccine candidate and/or strategy. Ho, Y.; et al., "Replication-competent noninduced proviruses in the latent reservoir increase barrier to HIV-1 cure." Cell. 2013; 155: 540-551. Wu, Y. "HIV-1 gene expression: lessons from provirus and non-integrated DNA." Retrovirology. May 21, 2004; 1(13): doi:10.1186/1742-4690-1-13. Eisele, E. and Siciliano, R. "Redefining the viral reservoirs that prevent HIV-1 eradication." Immunity. September 21, 2012; 37(3):377-388. Ho, Y.; Shan, L.; Hosmane, N.; et al. "Replication-Competent Noninduced Proviruses in the Latent Reservoir Increase Barrier to HIV-1 Cure." The Cell. October 23, 2013. 155(3):540-551.